Area Wireless Super Store offers wireless plans through several different carriers allowing you to choose what best fits your needs and budget! Come visit us today and find out about all we have to offer. Customers can enjoy unlimited talk, text and various data plans starting at $30.00 per month. Enjoy the latest devices all on America's largest, most reliabel network. Then upgrade your device when it's right for you, without upgrade fees. Choose the Verizon Edge pricing option once you select a device. The cost of your device is split into 24 monthly installments. You can make an optional down payment to reduce your monthly payment. 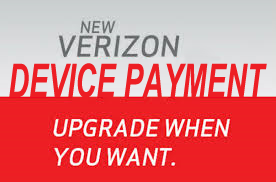 Once you join Verizon Device Payment, you have the option to get a new device without any upgrade fees.